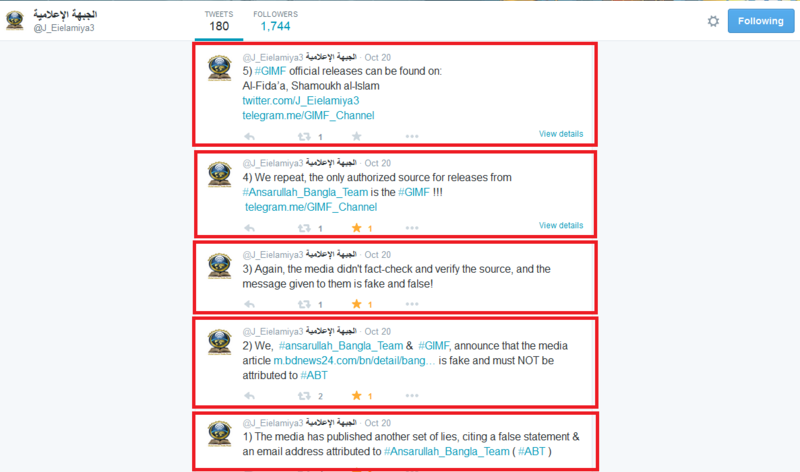 The media has published another set of lies, citing a false statement attributed to Ansarullah Bangla Team. We announce that the media article titled “Ansaraullah Bangla Team asks Bangladesh media not to run ‘anti-jihadi’ news” is based on falsehood, and the cited statement has no connection to Ansarullah Bangla Team. Again, the media didn’t fact-check and verify the source, and the message given to them is fake. শাইখ আবার যখন ইউটিউব এ পেলাম ………. link a click korlam kinto bar bar error dekhacce….ekhn ki korte pari?? ভাই, লিখে সার্চ দিছি কিন্তু advance লিখা ত আমার আসে না,,,,?? ভাই জান স্ক্রীনশট এর পিক দেমু যে এইটা র অপশন ত এখানে নাই…..আর একটা কাজ করলে ভালো হয় কি?? ইমেইল আইডি কিংবা ফেইসবুক এ তো স্ক্রীনশট দেয়া সম্ভব? ?আর এখানে কিভাবে দেমু?? ভাই জান স্ক্রিনশট দিছি এখন কি করব? ?